Do you want to be a Minyanaire? Wake up and smell the coffee...at Chabad! 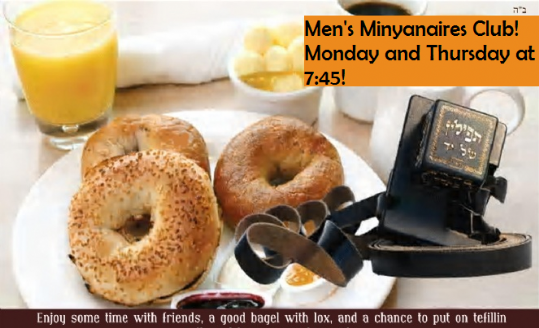 Join our Monday & Thursday morning Minyananaire's Club at 7:45 A.M.